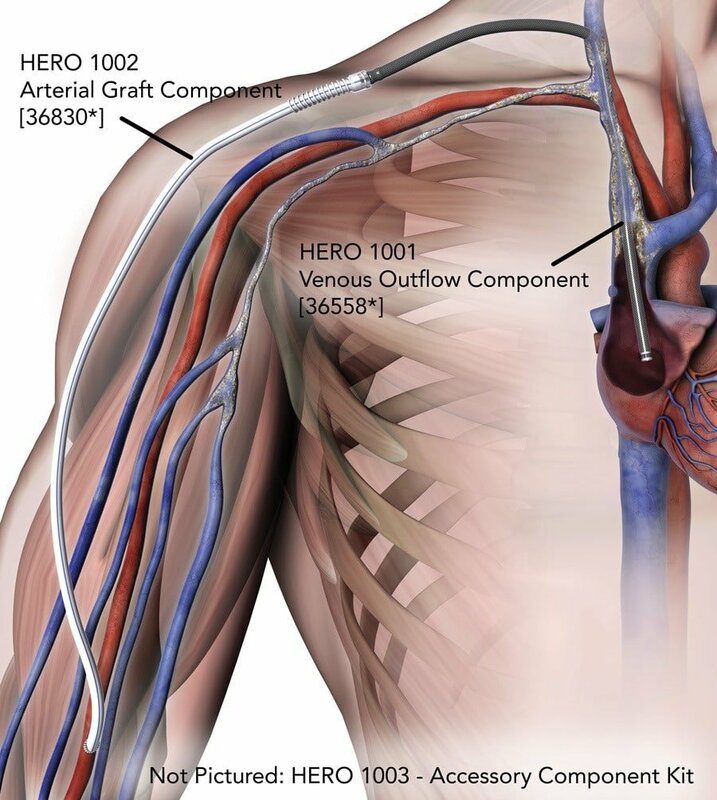 HeRO Graft is a fully subcutaneous system that provides reliable, continuous blood flow directly from a target artery to the central venous system and into the heart. The HeRO Graft Accessory Component Kit (sold separately) contains disposable tools used to facilitate placement of the HeRO Graft. CPT® 36830 and 36558 with C1750 should be reported together to represent complete HeRO Graft implantation. If you still have questions about reimbursement coding for the HeRO Graft implant procedure, please call Merit Medical at 800-356-3748. Is HeRO Right For Me?